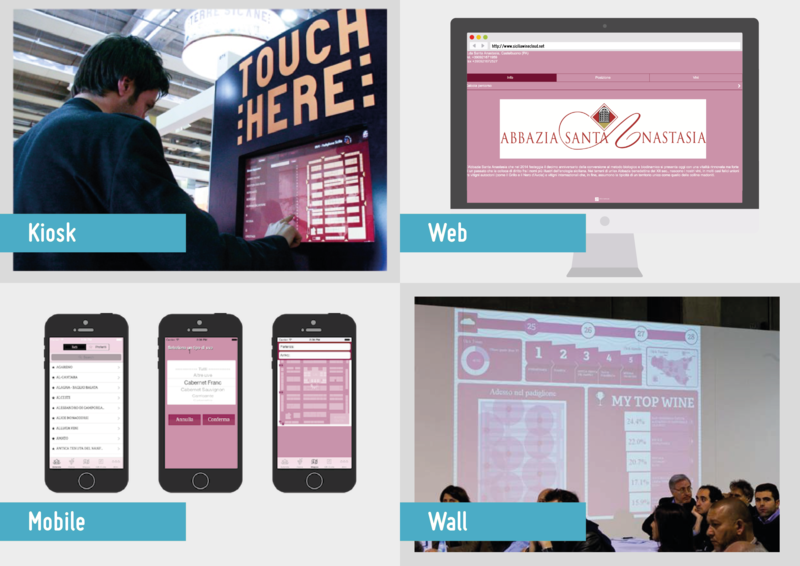 We developed SiciliaWineCloud to accompany visitors to Vinitaly from 2011 to 2014 and to guide them between Sicilian wines. Vinitaly is the International Salon held in Veron hosting producers, importers, distributors, restaurant owners, technicians, journalists and opinion leaders from all the world. Every year it hosts over fifty themed tastings of Italian and foreign wines and offers a conference program that addresses the main issues related to supply and demand in the wine market, analyses are conducted by Studies And Research Vinitaly Observatory. 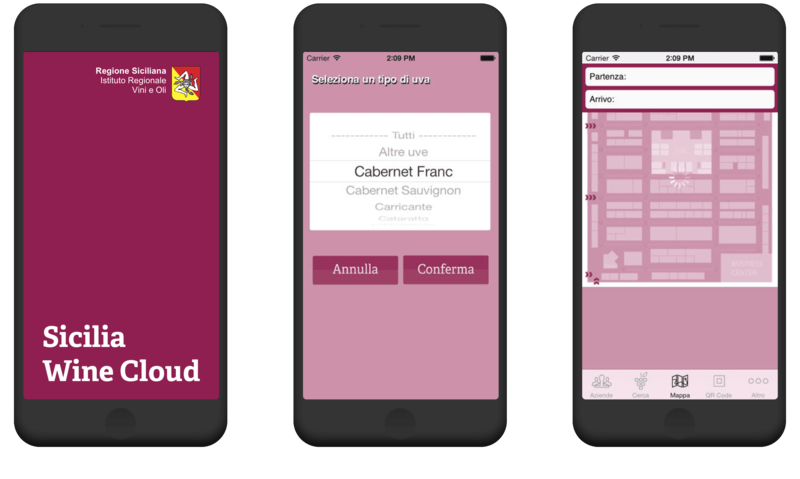 QRouteMe® includes Comunication and Promotion project dedicated to wine Pavilion, on the Back end side it’s possible to mange companies data while on Front end side you can research by type, category, years, and much more available in different versions: kiosk, web, mobile, wall. Information, layout and interaction are adapted according to the client's needs. 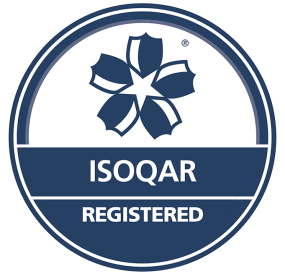 The system has been adapted for the London International Wine Faire and for the ProWein in Dusseldorf in 2012.